Centerpieces, flowers, seating plan… there is so much that you want perfected for your wedding; but what takes the cake here is the bridal dress: every bride wants to ensure hers is flawless. Ultimately, this is the first task that many brides are concerned with and many start planning ahead of time. 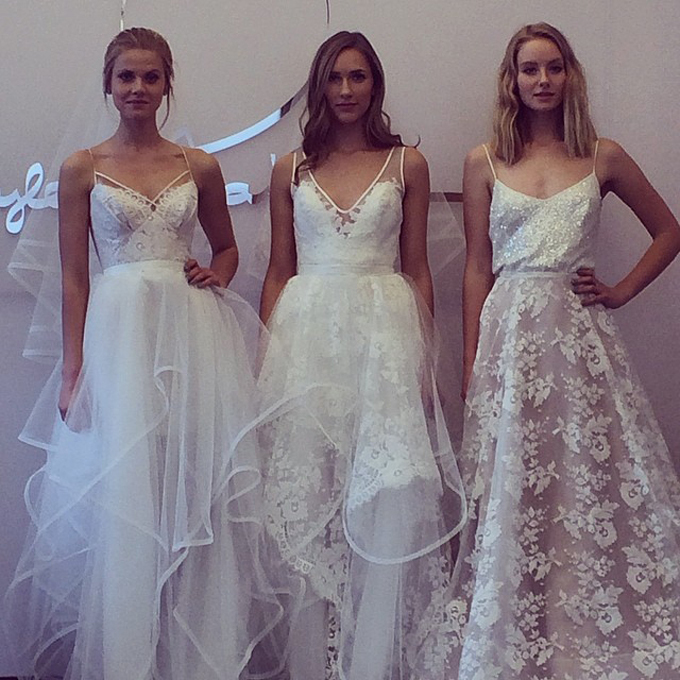 On our blog today, we’ll shed light and share the ultimate Spring 2015 bridal runway which will help you get ideas on the latest trends for choosing your gown. The style, color and ceremonial importance of the gown depends on the culture and religion of each person. In the Western cultures, brides often choose a white wedding dress; but, in Eastern cultures, brides often choose other, brighter colors such as red, pink and gold. However, one common aspect that all brides have regardless of culture is that they want their gown to be gorgeous and remarkable! Trends are always changing along with seasons, so naturally, brides are always keen to stay up to date on the most fashionable gowns to ensure they are choosing the trendiest one which will make them look gorgeous on their big day! From necklines to fashionable fabrications, each season presents exciting new trends that every bride would be interested in. 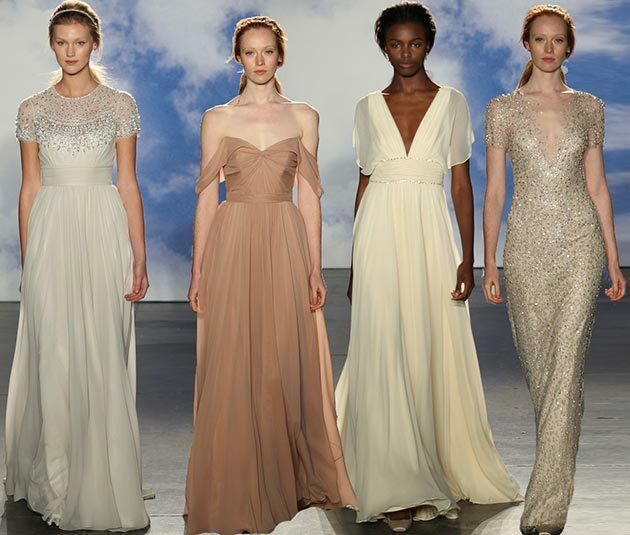 The new upcoming seasons present a wide range of different bridal gowns from the most runway seasons. 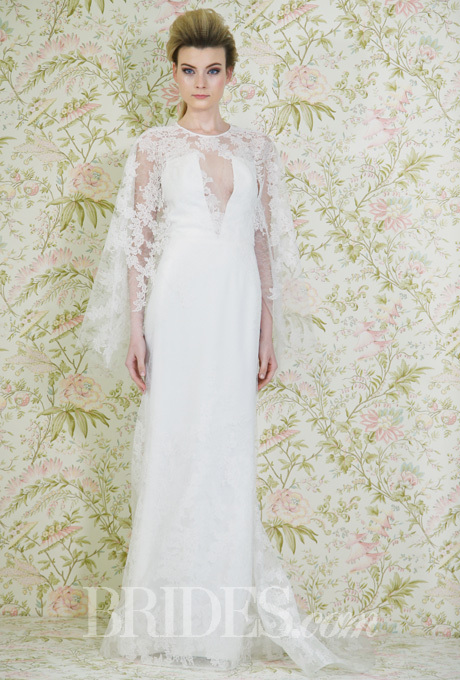 Some of the gowns are taking a much more fluid shape than previous seasons; they are more elegant and plenty of details, such as sheer panels and glam necklines, which help make the bridal look effortless. Furthermore, now gowns are more sophisticated not just by their month but also by their color. 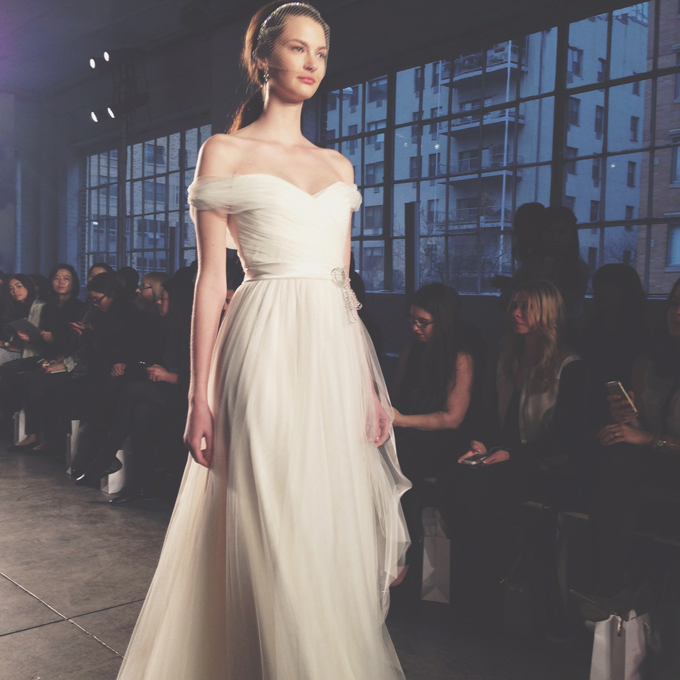 The Spring bridal runway also highlighted beautiful bridal dresses with skirt options and accessories as well. More and more dresses that we are now seeing are off the shoulder necklines with bold colors, tulle over-skirts, capes and collars collections. Designers such as Oscar de la Renta showed advancement with off-the shoulder necklines and romantic draped shoulder sleeves which is a great option for brides that want to cover up but yet not look too conservative. Another important element that we have seen is capes which help brides have more than one look. Angel Sanchez’s cape creates a dramatic down the aisle look with a full-length overcoat cape which allows the bride to cover up for the ceremony. But it not only has that! It also allows the bride to have two looks rather than one. 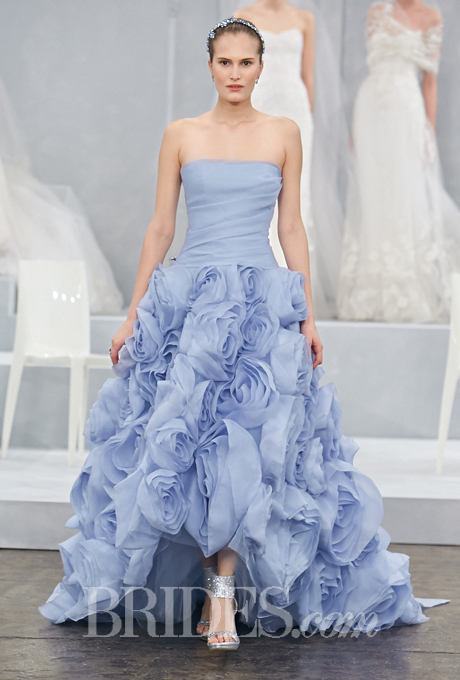 Alternatively, brides looking for colors instead of the white wedding dress that everyone is accustomed to have something in store for them; at Spring 2015 wedding dresses we have seen colors such as blues, grays and even mint greens instead of the usual white, ivory and blush that we were used to seeing. Bridal dresses have also changed in the trendiest ways such as convertible skirts which creates a much more modern option for their big day! Designers like Hayley Page and Theia displayed the most stunning and creative modern dresses in this season and we at YouGotAGift.com recommend that you check them out as well. 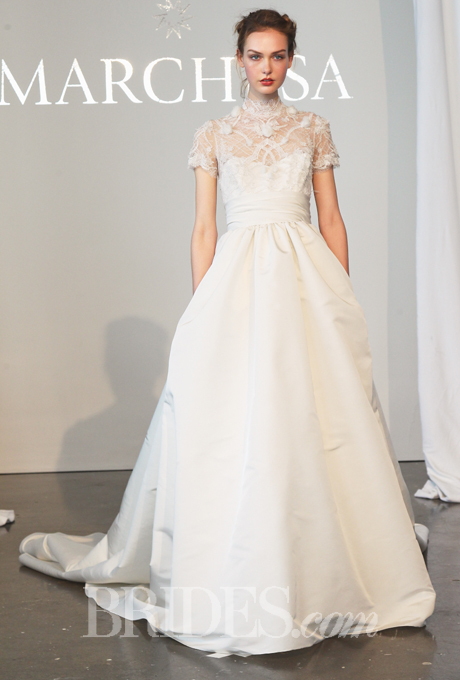 Lastly collars are an addition to the high illusion necklines that are gently holding the neck with lace tops such as designers from Marchesa and Mira Zwillinger to Naeem Khan allows the gown to have a real majestic finish look to it. With all these awe inspiring new dress trends, we at YouGotAGift.com recommend that you keep checking our blog posts for more tips to come!